I just started playing this game last month, and still currently playing it, but I am in love with this game. Every other game on this list I’ve beaten, but Persona 4 will be completed soon I can assure you. Why is this game already on my list? Because it’s one the best JRPG’s I’ve ever played, yet has an unorthodox style. 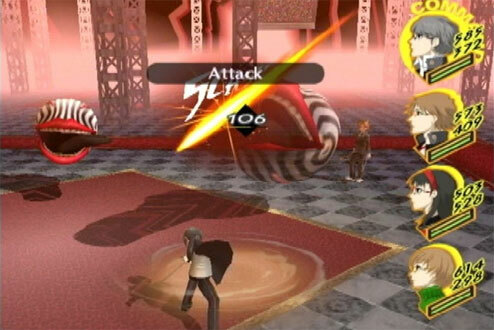 I actually recently discovered what Persona was all about in February. I watched some videos of it on youtube, and came to like what I saw. I gave persona 4 a shot, and boy have I fell in love with this game. It’s a mix of social simulation, turn based, battles, crime investigation, and dungeon crawling. The soundtrack is one of the best I’ve experienced in gaming as well. Persona 4 definitely isn’t for everybody, but if you’re a fan of in-depth RPG’s that give you tons of content and hours, this is for you. As I said before, there are a lot of different elements to this game. 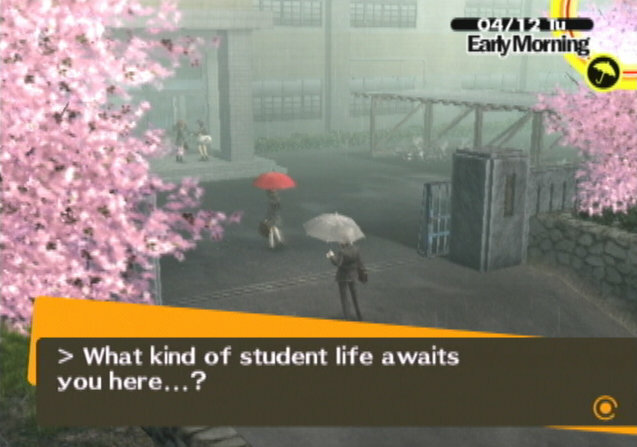 Your main character is a high school student that has the special power to summon personas. These personas are a lot like pokemon which can battle the shadows found in dungeons. The other characters in the story do all of the talking, but you are able to respond through dialogue choices that move the relationship. If you say something to upset someone, your social rank with that person decreases. Forming social bonds with the various characters have beneficial influences on the personas you create. The characters each have their own problems and lives, and it’s easy to care about the lives of your virtual friends. One of the characters has such a heart-breaking story, It’s hard to not have some true feelings for their well-being. Not a lot of games do that these days. The battle system is fairly familiar since it is turn based, but strategy and tactics are at a premium, unlike in Final Fantasy type games. The story is very good as well, and not so cliche as found in other JRPGs. The overall plot is unlike any I’ve come across in an RPG, and the characters do a great job moving the story forward. This installment of Persona isn’t as dark as the first three, but will present to you a mixed bag of laughter, sadness, and fear throughout. The Persona series has a very strong following in Japan and here in the U.S. These games are hard to come by, and therefore are not widely known, but if you have the experience to play, you will understand the frenzy. As soon as I finish Persona 4, I’ll move onto Persona 3 to experience that story as well. 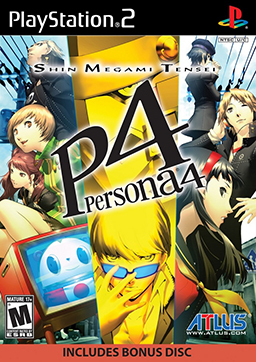 If you’re a gamer and looking for something different, give Persona 4 a look. Persona 5 is scheduled to be released on the PS3 at SOME point in it’s lifespan, so i suggest you get to playing!